Holidaymakers looking for an Easter break in Spain could be in for a massive interruption to their plans as 60,000 Spanish airport workers threaten to go on strike starting April 20th. Ground staff at all of Spain’s airports say that they are prepared to continue negotiating over pay and conditions but if an agreement is not reached by April 20th they will walk off the job. Union sources say that a strike by ground staff would affect every airport and heliport in Spain. "The USO air sector, together with UGT, has presented a conciliation request prior to the call for a state strike against Aseata, the employer representing all the companies in the ground assistance sector," said a spokesman. "The call for strikes, which some 60,000 handling workers are called at all Spanish airports, will begin on April 20th." "This conflict affects the staff that provide services to companies in the sector, including ground handling services, aircraft and passengers, merchandise and mail, as well as the service of placing and removing gangways, which connect the aircraft with the port terminal." 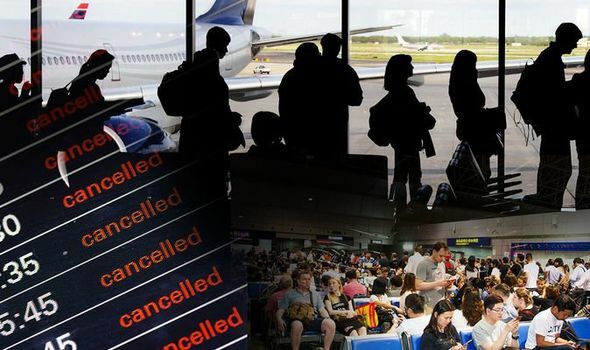 Should the strike go ahead thousands of flights will be affected as an expected 5 million people travel over the Easter holidays. A previous strike called for in July was averted after Spanish airport operator AENA agreed to meet some of the union’s demands while continuing to negotiate sticking points. In the eventuality of a strike, check with your airline before leaving for the airport.